The revenge play or revenge tragedy is a form of tragedy which was extremely popular in the Elizabethan and Jacobean eras. The best-known of these are Thomas Kyd’s The Spanish Tragedy and William Shakespeare’s Hamlet. The genre was first categorized by the scholar Fredson BowersThe Greek view of tragedy was developed by the philosopher Aristotle, but it was the Roman Seneca (whose works were probably intended to be read rather than acted) who influenced the Elizabethan tragedies of the English dramatists Marlowe and Shakespeare. A distinctly English form of tragedy begins with the Elizabethans. The translation of Seneca and the reading of Aristotle’s Poetics were major influences. 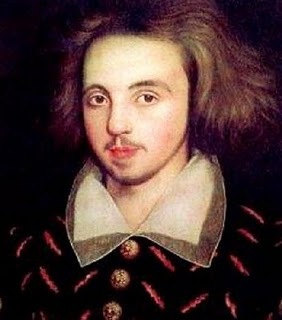 Many critics and playwrights, such as Ben Jonson, insisted on observing the classical unities of action, time and place (the action should be one whole and take place in one day and in one place). 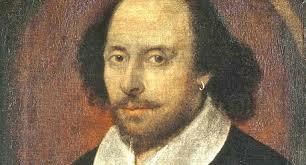 However, it was romantic tragedy, which Shakespeare wrote in Richard II, Macbeth, Hamlet, and King Lear, which prevailed. Romantic tragedy disregarded the unities (as in the use of subplots), mixed tragedy and comedy, and emphasized action, spectacle, and–increasingly–sensation. Shakespeare violated the the unities in these ways and also in mixing poetry and prose and using the device of a play-within-a-play, as in Hamlet. The Elizabethans and their Jacobean successsors acted on stage the violence that the Greek dramatists reported. The Elizabethan and later the Jacobean playwright had a diverse audience to please, ranging from Queen Elizabeth and King James I and their courtiers to the lowest classes. Christopher Marlowe’s tragedies showed the resources of the English language with his magnificent blank verse, as in the Tragedy of Dr. Faustus, and the powerful effects that could be achieved by focusing on a towering protagonist, as in Tamburlaine. In Elizabethan tragedy, the individual leads to violence and conflict. A distinctly non-Aristotelian form of tragedy developed during this period was the tragicomedy. In a tragicomedy, the action and subject matter seem to require a tragic ending, but it is avoided by a reversal which leads to a happy ending; sometimes the tragicomedy alternates serious and comic actions throughout the play. Because it blends tragedy and comedy, the tragicomedy is sometimes referred to as a “mixed” kind. Tragedy was always intended to have a beneficial effect on its audience. The classical catharsis (the audience’s experience of emotional purification when watching tragedy) was replaced by Brecht’s concept of alienation, in which the audience is intellectually (as opposed to emotionally) involved. Brecht’s contention was that an emotional audience accepts what happens as inevitable, whereas they should be angered and leave the theatre bent on preventing such tragedies happening again. Despite the general division of tragedies into classical (dealing with noble characters) and modern (dealing with ordinary people), there has been a consistent, but less well known, genre of tragedy that has dramatised contemporary events. Even the Elizabethan theatre staged works inspired by contemporary events.